Just last month we got a look at the first gameplay trailer for Little Dragons Café, from renowned game designed Yasuhiro Wada, and now today we get wind of the goodies players will get when they purchase the Little Dragons Café Limited Edition. For those brave enough to take this journey and pick up the Limited Edition game, you will get to fall in love with a soundtrack CD featuring 17 tracks, a set of 18 character cards, and probably one of the cutest baby dragons ever. Okay, so you don’t get a real dragon, it’s just a plushie, but it’s still far too cute! Dragon Husbandry – Embrace your parental instincts and raise your very own dragon! Through wise decisions, proper nutrition, and empathetic nurturing show the world the true potential of your dragon companion! Culinary Capitalism – Learn new recipes and master the art of cooking while running your very own café. Explore the world, discover new ingredients, and expand your menu (and your restaurant) while catering to the whims of your customers. Grow Your Own – The tastiest dishes use the freshest ingredients, and the best way to ensure that is to grow your own produce. Till the land and fish the rivers to gather the most flavorful fixings for your signature dishes. Serve the People – Feeding is nurturing, so you not only cook for your neighbors, but also help them with their problems to increase your popularity and the general happiness of everyone around you. 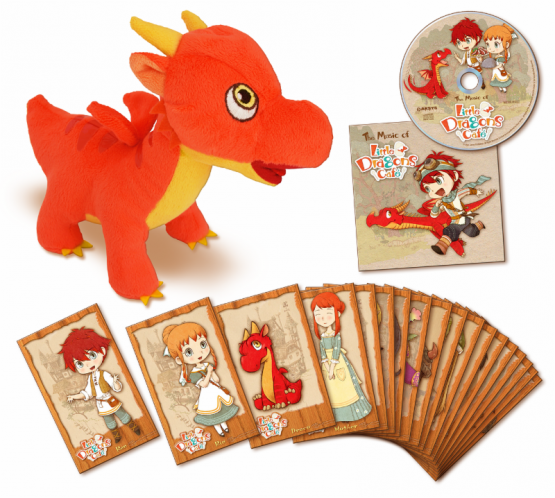 This Limited Edition of Little Dragons Café is available for pre-order at $79.99. The game itself will be releasing for PlayStation 4 and Nintendo Switch later this year. Are you planning to pick up this LE?